In the pre-wedding fuss, future newlyweds have a lot of worries. To make a truly memorable event much has to be kept under control. What applications for the wedding organization will help the bride and groom in the preparation for an upcoming event? This review presents the most popular wedding planner applications. WedMeGod is the wedding planner that will do everything possible to make sure that you do not miss something important in preparation for the wedding ceremony. Keep records of expenses, make to-do-lists, plan a seating arrangement for guests, choose the necessary stores (wedding dress shop, jewelry, hotel for the wedding night, etc. ), think through the menu for the banquet. If you don’t decide on the style of your ceremony, then you can look through real wedding photos right in the app. So, inspired by fresh ideas, you can create your own unique style. Here, you will be able to find vendors. Use filters (location, price, etc.) and choose the best ones according to your demands. There are also real photos of their works and reviews of other people. So, you can be confident in your choice. Professional specialists will help the newlyweds organize and hold an unforgettable wedding. A wedding is a joyful event in the life of any person, but extremely troublesome. The mass of small and large deals, “deadlines”, the budget, guest list, turmoil. 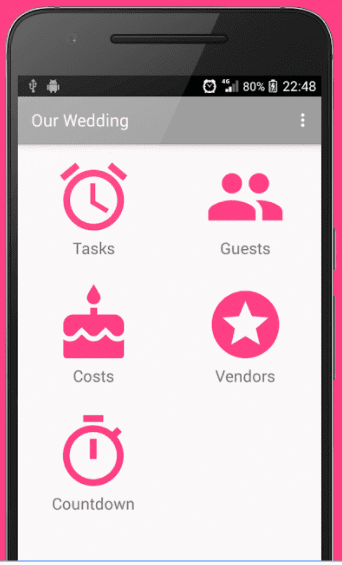 The application The Wedding Planner for Android will help to facilitate the preparation for the wedding greatly, becoming an indispensable assistant, both for future newlyweds and their parents. The application is free, there are no built-in purchases, so safely download it to your smartphone. The application is a reliable assistant to everyone who decided to at least partly take on the organization of such an important and bright event as a wedding. The application will help not only to select professionals for the celebration but also to calculate the budget, track the fulfillment of tasks, make a list of guests and so on. 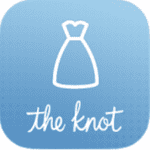 Wedding LookBook app will certainly interest all brides. The section “Wedding Dresses” has more than 8000 outfits from the world’s leading designers. They can be sorted by brand, silhouette, decollete shape, material, length, and cost. Liked dresses can be added to favorites. The application also knows how to search for stores nearby, in which one or another model is presented. Also, the application is able to give you recommendations according to your tastes. To do this, add to favorites at least five dresses: the more of them, the more accurate the recommendations. In the app, there are sections with wedding rings, shoes and accessories, dresses for girlfriends and mother of the bride. select vendors in the existing directory and add them to the “favorites”. When the date of the wedding is appointed – it remains to count the days before this event and hope that there will be enough time for preparation. This simple, but a nice application will help to make it visually. The main menu of the application contains the most important thematic sections: Countdown, Guests, To-Do, Costs. Developers of the application paid much attention to the development of the organizer. Its main task is to help in creating lists of guests, forthcoming issues of preparation for the wedding and planning of the wedding budget and accounting of expenses. Perfect Wedding Planner has a great popularity and demand. It allows you to keep under control all the stages of organizing a wedding celebration. And also, with its help, it is easy and simple to manage the list of invited guests directly from the phone book. You can call the guests directly from the application or send them a message. All information about vendors for the wedding and reports on the work done by the newlyweds will always be at hand, just press the button. A very user-friendly interface allows you to monitor the wedding budget and keeps spending statistics. In the Perfect Wedding Planner, there are all the necessary items of expenditure, what will save time for other equally important things. The wedding calculator at any time will tell you how much has already been spent on the wedding, and what amount should be paid for the wedding services. 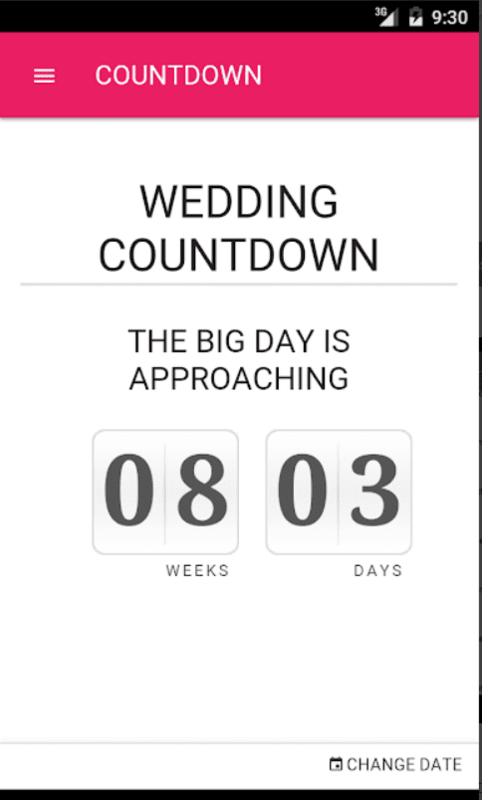 The application has a built-in countdown counter, through which newlyweds can notify guests about how much time left before the most important event in their life. The colorful and practical design of the application and the available functionality will not leave anyone indifferent. Wedding Decorations Ideas is a perfect instrument for newlyweds while planning their wedding day. This app offers inspiration in the choice of scenery. In the app’s collection, there are decorations of all kinds. You will find images of wonderful outdoor and indoor wedding decorations. The management is simple and convenient. If you like some pics, you can save them and share with your beloved. Also, the pictures you like can be set as wallpaper. Wedding Plandroid is a useful service while preparing for the best day for brides and grooms. The design is cute and minimalistic. So, there will not be difficulties when planning your wedding. 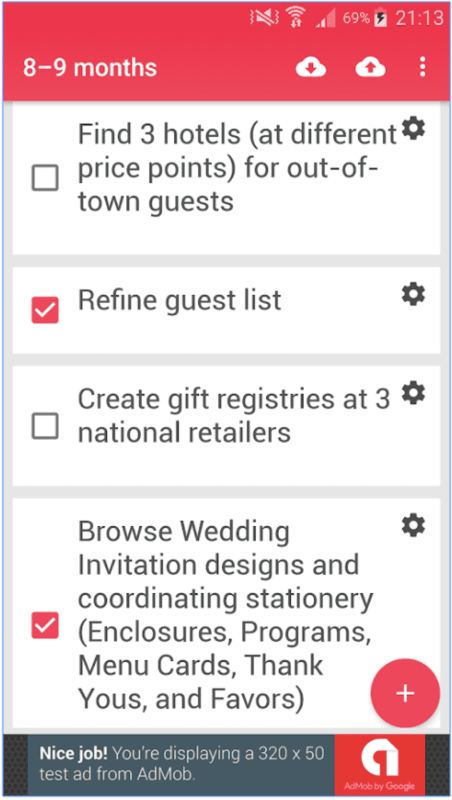 When you open the app, you will see four sections: Tasks, Guests, Vendors, and Budget. Each section is worth using and facilitates the preparation process. Here you can search for wedding service providers, as well as call them. It can be made directly from a separate address book of the application. Also, the application allows you to track the status of the sent invitation to the wedding. It reminds of expired tasks. In the guest section, you can enter more information about your guests. In the vendor section, you can enter and manage vendor information, as well as rate them for quick reference. It is even possible to search for vendors in your location using Wedding Plandroid. Wedding Checklist will help you in organizing such an important event as a wedding. The design is ultra-minimalistic. 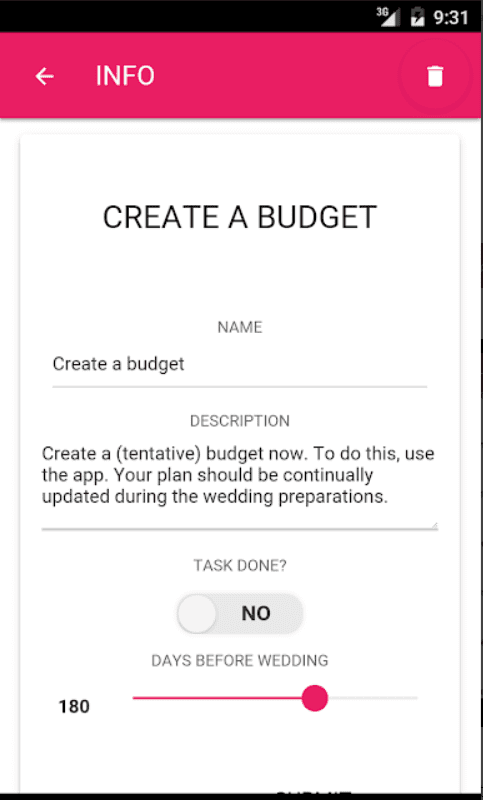 There is practically no graphics, the application is more similar to a business planner rather than a wedding organizer. However, it has many pluses. First of all, it is the most detailed list of tasks for the bride and groom. 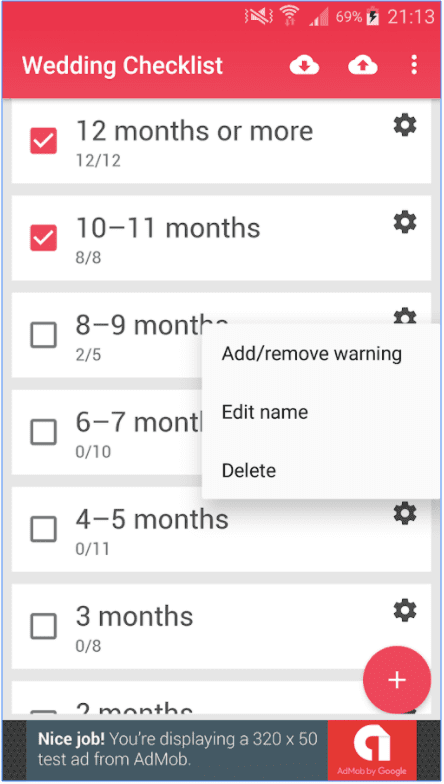 The tasks are grouped according to the time left before the wedding date. You can also prioritize some tasks. Then, you can upload the ready list and share it. There is a countdown to the date of the wedding. Before the start, you should register. The app is free. List of guests, wedding tasks, suppliers, wedding calculator – this is a wedding application where there is everything or almost everything for a wedding. 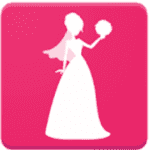 Organization of the wedding yourself – now this is a feasible task with Wedding Planner app on your smartphone. This wedding organizer allows you to manage the list of guests. It is very simple and convenient. You can add guests directly from your phone’s book, or add them manually. You can check whether the invitation was sent and receive a response. Separately, it can be noted for each guest whether he goes only to the ceremony in the REGISTRY OFFICE or just to a dinner on the occasion of your wedding. You can dial the guest number or send a letter directly from the wedding planner. You can keep information about your wedding suppliers (companies) at hand to keep your hand on the pulse. 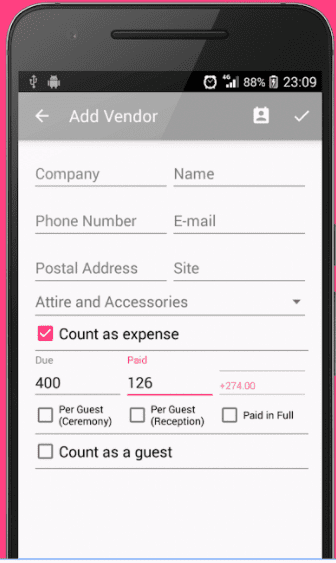 Like the guests, wedding suppliers can be added from the phone book or manually. In order to better prepare for the wedding, the developers have prepared the main wedding tasks that arise in planning the wedding. You can use this list, or make your own. 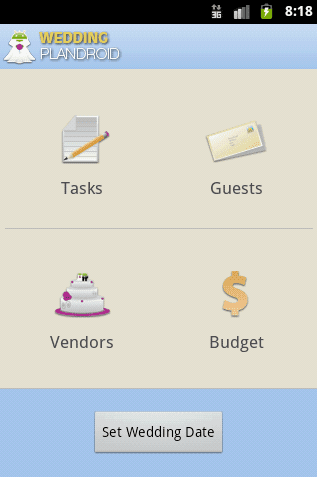 The wedding budget, like expenses, is very simple to use in this wedding application. In preparation for the wedding, it offers a list of the most frequent items of expenditure to save your time. You can note which budget you have, how much to pay for each service. The wedding calculator will help. Very convenient and intuitive service. In the wedding application, you can set the countdown before the day of registration. You can keep in touch with friends and let them know how much time is left before an important event. Less stress in preparation for the wedding. And more time for each other on this special day.